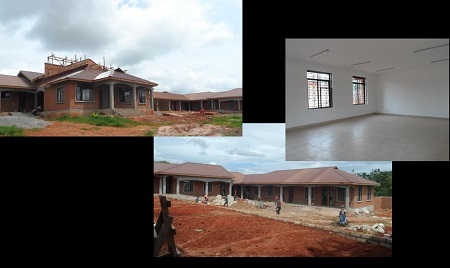 After some delays, the Good Shepherd Orphanage will finally be complete here in the next few weeks. 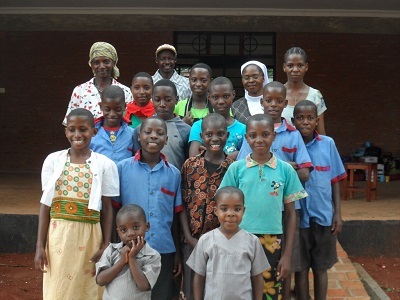 The first group of orphans have moved into the orphanage on Sunday, March 9. Since the orphanage is not yet complete, we could not move all the children. However, the school is far from being completed as originally planned. We are excited to have the use of three classrooms and the sports hall very soon. For now, Sr. Emmanuela has begun classes in the dining room of one of the orphanage houses. The greatest progress has been on the convent. It will be finished at the end of April. In spite of heavy rains, they have progressed rapidly. The dedication of all three structures remains planned for May 11th, Good Shepherd Sunday. The dedication date will come quickly with much work on the projects in between now and then.